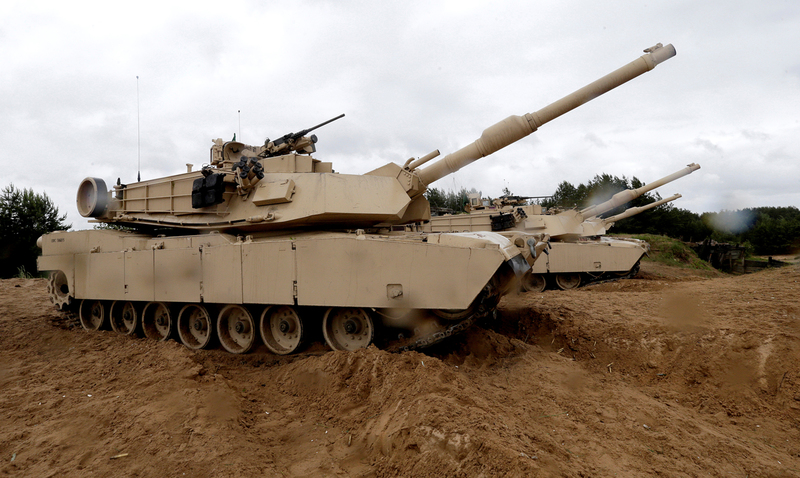 The deployment of U.S. tanks and other armed vehicles in Poland is seen Russia as a threat, Russian presidential spokesman Dmitry Peskov has said. "Any country can regard a buildup of foreign military presence near its borders negatively and it will do so. This is precisely the way we see it," he said. "We interpret this as a threat to us and as actions that endanger our interests and our security." Peskov pointed out that "a third country is building up its military presence near our borders in Europe." "That country is not even a European one," he said, adding that the size of the military contingent did not matter. "Be it one thousand or ten thousand, it’s all the same. That’s a buildup of the military presence and I have nothing to add," he said.